Bollywood filmmaker Karan Johar is his own man and has created a niche for himself in the industry. The eccentric director likes to speak his mind and likes to live his life to the fullest. After chatting with his friend Kareena Kapoor in the first episode of ‘Pinch’, Arbaaz invited filmmaker Karan Johar in the second. Karan Johar himself is a successful host of ‘Koffee with Karan’ and the show just completed its sixth season. Now, Arbaaz asked Karan some difficult questions and the ‘Student Of The Year‘ director smashed it out of the park. 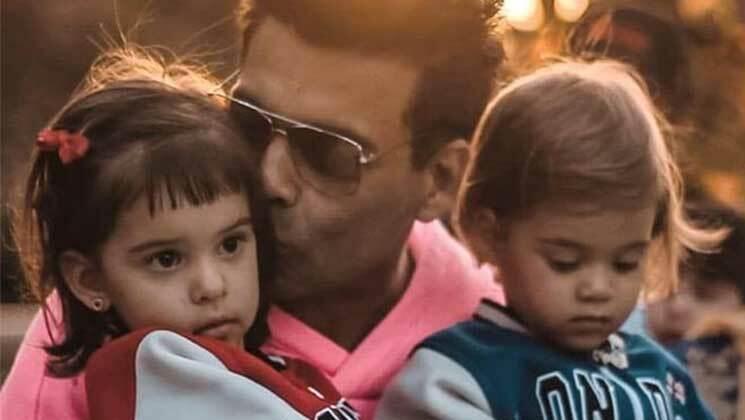 During the interview, Karan Johar is also seen talking about his kids Roohi and Yash, and says, “I am a little sensitive about my babies and when they start saying things about them, that really bothers me.” KJo is also saying that he is extremely fond of his kids. He also dismissed the notion that only a male and a female can raise a child. For those, who are unaware, Karan’s kids Yash and Roohi were born through surrogacy. The 46-year-old is very close to his family and loves them without any strings. Meanwhile, the ‘Kuch Kuch Hota Hai’ director is currently gearing for the release of his next film ‘Kalank’. This historical stars Alia Bhatt and Varun Dhawan with an ensemble cast in lead roles. ‘Kalank’ is being helmed by Abhishek Varman and is slated to release on April 17.